I have spent the past years exploring nearly every nook and cranny of South America. In doing it on my own, and spending so much time in Latin America, I have discovered a lot about each and every country. Having now travelled through every single country in South America I feel like I’ve gotten a pretty good grasp of all the countries. I feel like I know what each country has to offer, I also know what each country lacks. I have decided to explain what each of the South American countries does best and what it fails miserably at. Natural Wonders: I know what you’re thinking. You thought I would write steak didn’t you? Oh, how wrong you were. The truth is that there is no country in South America with such amazing natural wonders as Argentina. Iguazu Falls and Perito Moreno Glacier may be the two most spectacular sights in all of South America. Beaches: If swimming in bright orange river waters is your idea of a nice beach getaway then Argentina is the place for you. If you’re looking for nice sandy beaches and calm waters you’ll want to head north to either Uruguay or Brazil. Probably my favourite photo of Iguazu Falls. Taken at the Devil’s Throat. Landscapes: From the famous Salar de Uyuni down to the amazing death road and back up to the rugged altiplano Bolivia offers some of the most breath taking sceneries not only in South America, but the entire world. In general, Bolivia remains on of the best countries to travel to on the planet, in my opinion. Music: After months in Bolivia I’d be happy if I never heard another pan flute in my life. Don’t get me wrong, Andean music is beautiful; but there is only so much a man can take. I remember in the highlands someone told me the band would be playing a collection of their most traditional songs, which are about 15 minutes long each, I almost walked right up to the stage and broke each of the 13 different pan flutes of varying sizes over my knee. 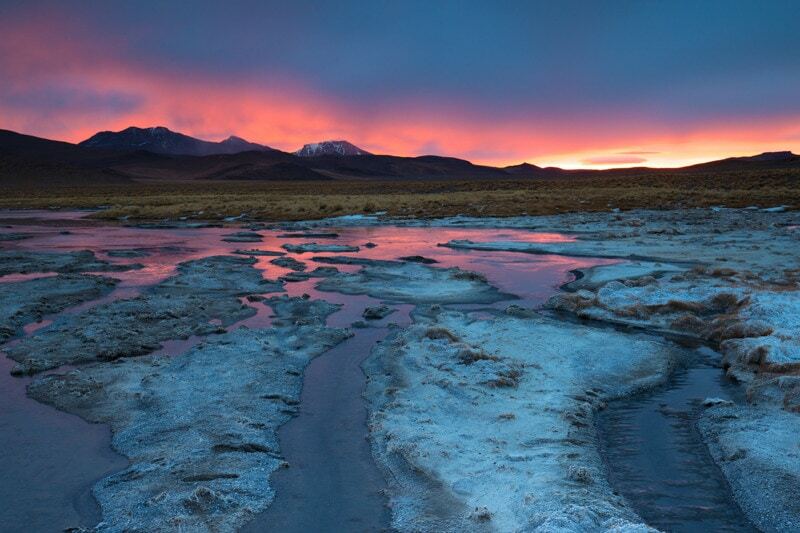 Sunset over the streams near Laguna Colorada. Party: Without even stating the world famous Carnival, Brazil takes the honours for having the greatest parties. A weekend on Lapa in Rio de Janeiro will prove the skill of the Brazilian party machine to anyone who visits. When Carnival rolls around the party is taken to a whole new level as the entire country, and hundreds of thousands of tourists, hits the streets for a good time. Meat: I was really looking forward to the famous “Brazilian Barbecue” on my first visit to Brazil. The unlimited amounts of food was music to my ears. The truth, however, is that with the exception of the sheered roasted beef most of the meat is beyond tough and very disappointing if you have just come from Argentina or Uruguay. Wine: I know this is hard to say as Argentina also has great wines. However, other than the Malbecs the Chilean wines are better overall. The area between Santiago and the coast offers some of the best wine in the world. 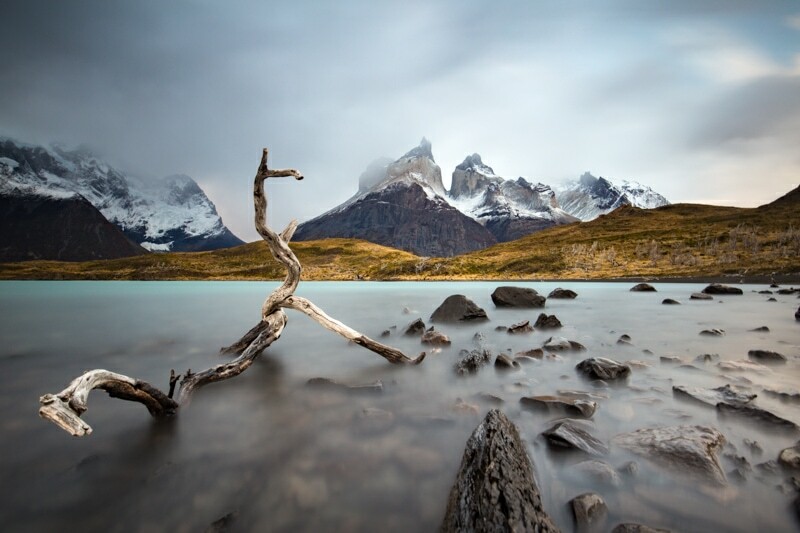 Chile is also a runner up to Bolivia on the best landscapes. 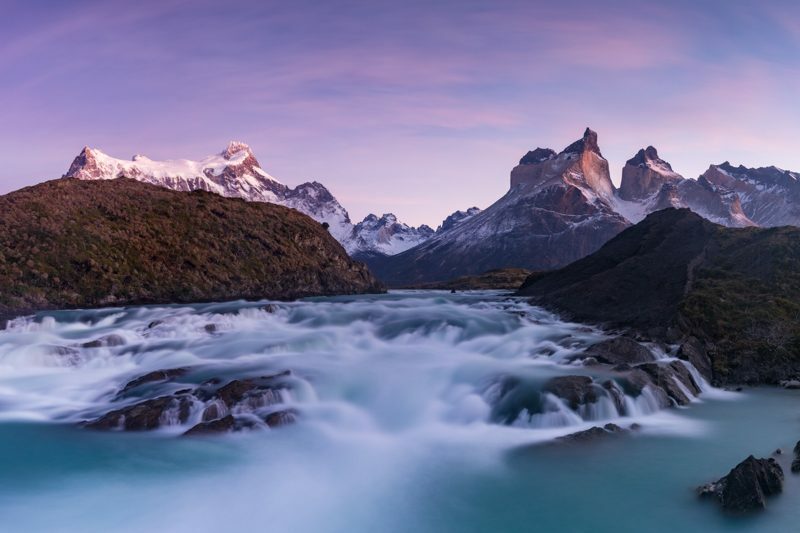 Wow, there are some incredible places to do landscape photography down in Patagonia. Style: If you’re into mullets and stone washed pink jeans then Chile is the place for you. I’m not sure where this style of “ugly is the new pretty” came from, but it really has to come to an end. People: I really hate to use the term “best people” but I had to stick with the script, didn’t I? The truth is that in all of South America the Colombian people have been the nicest, most helpful, and most eager to engage in friendly conversation. I can’t tell you how many times I’ve gone to the supermarket and have had people offer me their spot in line at the cashier, that just doesn’t happen anywhere else on the continent. Reputation: The truth is that the reputation is justified. This is a country still very much at war, still very much with a drug issue, and still very much a risk for tourists that aren’t careful. Things are, however, changing, so here’s to hoping that the reputation begins to follows suit because this really is an amazing country. Volcanoes: Not only the famous Cotapaxi, which is the highest active volcano in the world, but also the “Black Giant” Tungurahua in Banos, are very impressive sights. Also, although not active anymore, the Quilatoa crater is a sight to be seen. I could have also said that Ecuador as the best bio-diversity. But, I think that Peru might have it beat. But, you might have the best bio-diversity packed into a small space. I think it’s crazy that within 3 hours of Quito you have volcanoes, the Amazon basin, beach, and highlands. 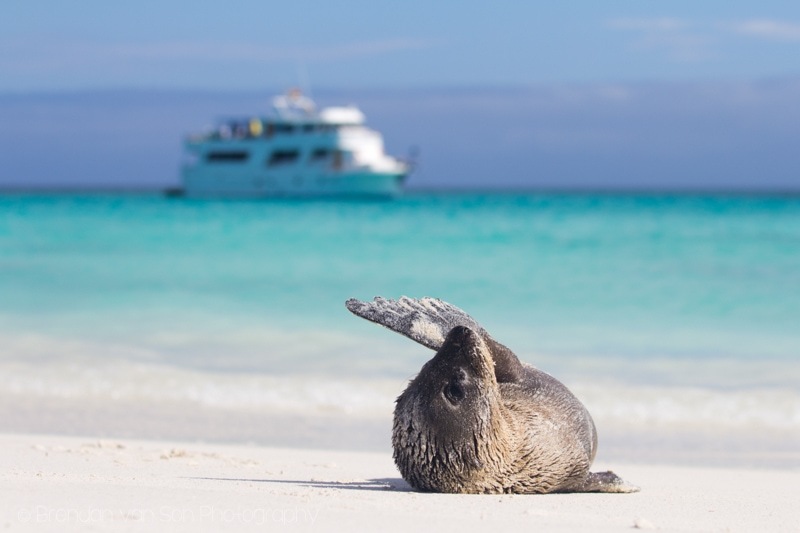 And, of course, Ecuador is home to The Galapagos Islands. Buses: There are no real higher end buses in Ecuador. They are all the same and they all stop for any old Joe with a quarter on the side of the road. The time of travel can change by hours depending on how many people are waiting along the road to be picked up. You know that when the Bolivian buses blow yours out of the water there is room to improve. Selection of Cheese: I don’t have too many great things to say about French Guiana, but after two years in a continent without good cheese seeing the selection at the grocery stores in French Guiana was like a dip in heavenly waters. Transit system: There are no buses that run through French Guiana so you have to pay for a collective taxi, the price which runs as much as 20 Euros an hour. I ended up hitchhiking the country in protest (well that and I couldn’t afford the taxis). In the capital there are city buses that circle around. However, they only pass every couple hours. It’s borderline embarrassing. 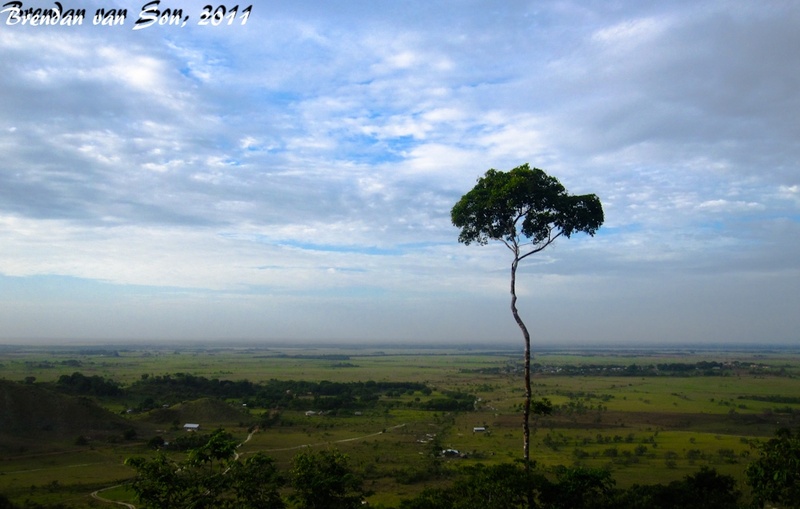 Hidden Gems: Many have never even heard of Guyana let alone places like Kaieteur Falls and the Rupununi Savannahs. However, these places are packed with beauty and there is never a piece of untouched nature all too far away. Tourism Infrastructure: For a country with so much to offer there is hardly anyone offering it. The public sector’s tourism board is basically non-existent and little to no push has been made internationally to bring tourists in. Ok, this might be a bad thing for the country. For me, it was nice having a country to myself for a change. Deals: I walked into a cafe in Asuncion that advertised free WiFi one day. I sat down ordered a water and a Sprite, and got to work. About 6 hours later I had eaten two mini-pizzas, a huge ham and cheese sandwich, drank 2 bottles of water, a sprite, and 2 beers and my total bill came to a whopping 6 dollars US. Also, if you’re looking to buy electronics in South America, this is the place to buy. Tourist Attractions: I’ll be honest, there’s not a whole lot to see in Paraguay. Yes it is worth a visit, and yes I fully enjoyed my time there. But beyond Asuncion, the Chaco (if you have money), and Cerra Cora National Park there just isn’t a whole lot for tourists in Paraguay. History and Culture: Even beyond the famous Inca people Peru’s history is rich, perhaps one of the richest in the world. Peru is said to be one of the few places in the world where organized civilization was born so how could it not have a brilliant history. 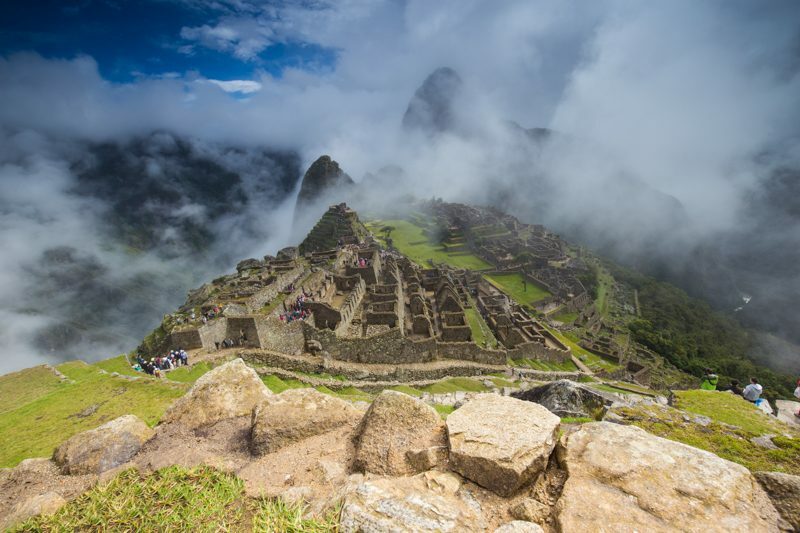 From Machu Picchu to the Chan Chan ruins, the history is lined up waiting for you to experience it. Tourist traps: Walk around downtown Cusco long enough and you’ll get very good at saying no, or simply ignoring the hundreds of people offering tours and “masajes amigo? Masajes?” Peru has done well to use tourism to develop but there are times it feels like a show. Places like the Uros Islands should draw sentiments of amazement, but instead they can feel like a stage put together by actors working for tips. Cultural Diversity: From the indigenous people who lived here first to the marooned slaves that hid away in the interior to the European and East Indian settlers, just about the entire world is represented in this tiny country. It is amazing to see a mosque right next to a synagogue and it is amazing to see a girl behind the counter at McDonald’s speak 4 different languages without missing a beat. 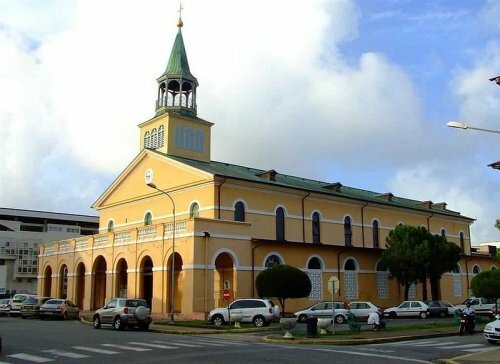 Grocery Stores: I had never seen a country without proper grocery stores until visiting Suriname. Yes there are little “convenient stores” everywhere, but “convenient” is really just a word for “we don’t have that much stuff” isn’t it? Shopping for groceries in downtown Paramaribo is nearly impossible unless you like noodle soup and chocolate bars for dinner. Meat: I’m sorry Argentina, and believe me your meat is amazing. However, Uruguay may do it just slightly better. They consumer more meat per person and they don’t mess with the traditional cooking styles as much. Uruguay, we men stand tall and proud in our barbecue “man aprons” and salute you. Nightlife: I have to admit, the nightlife in Punta del Este was alright, but in Montevideo it was pitiful. A couple of bars strung out on a shady street for me does not constitute nightlife. Come on, this is Latin America we’re supposed to be getting sweaty and making bad decisions. 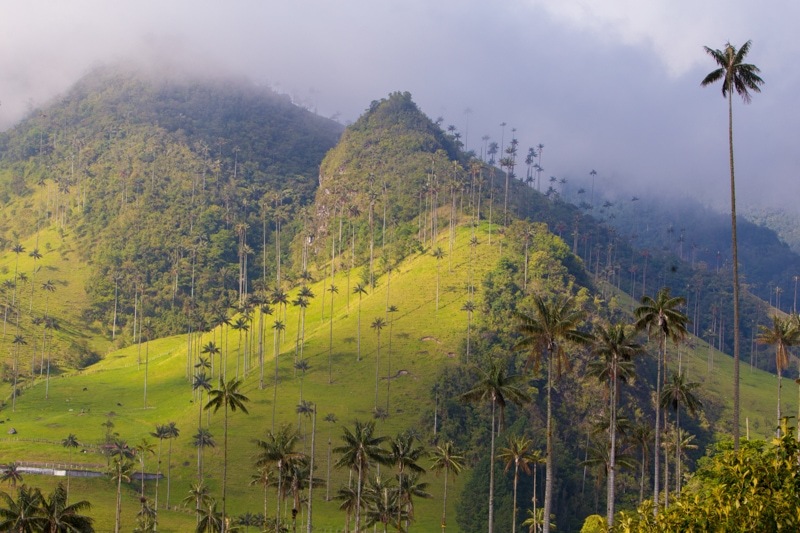 Mountains: If you’ve never seen the tabletop mountains of Venezuela check out this google image search for tepuis (the name of the Venezuelan table top mountains). They are stunning to look at and amazing places to explore. Since the tops of many of these mountains are difficult to access, or escape, there is life that exists on these mountains that doesn’t exist anywhere else in the world, and a wealth of life that has still yet to be discovered. Safety Record: Over the years, Venezuela has become one of the most dangerous places on the planet. 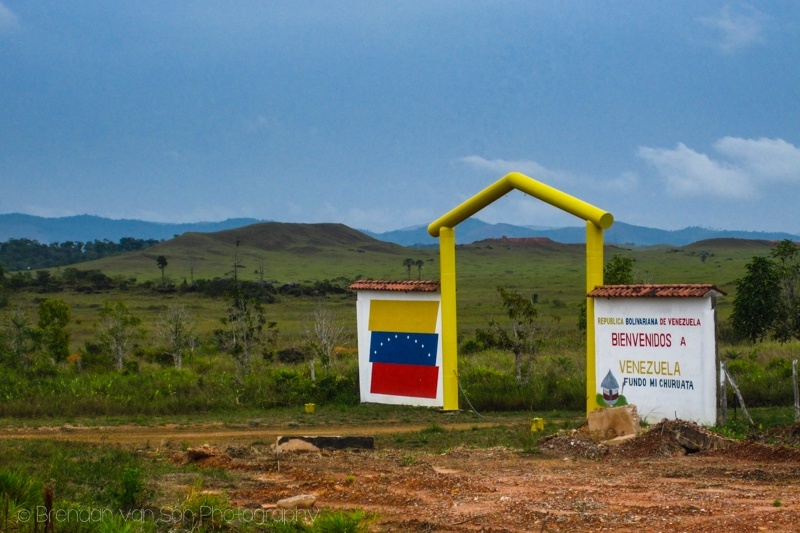 Mired by political instability, I can’t really recommend you head to Venezuela. That being said, stay on top of new stories because things might be changing. I hope things do change because this is one of the most beautiful countries in the world and has massive potential for tourism. Agree with me? Disagree with me? I’d love for your opinions in the comment section below. Previous ArticleFriday (Saturday) Round Up: What is Going On?!?! You summed it up quite nicely! I’ve only visited Ecuador, Peru and Colombia, and my experiences aligned well with your summaries. I had a hard time dealing with Colombian money, as they had plenty of zeros (exchanging 100 USD gave me a six-figure amount), and it doesn’t help that they just shorten it when talking about it (a postcard for 3,000 COP is just “tres” not “tres mil”). But I had a quick lecture on Colombian money from my taxi driver, after arriving at Plaza Bolivar from the airport. And no, he didn’t rip me off at all. During the same day, however, someone tried offering me drugs. I can’t say much about Ecuador, as it was my first venture into solo travel and backpacking, that I stayed only in Quito and its surroundings. The only peak I visited was Pichincha and Pululahua. And the buses were not spectacular, but just okay. I don’t think I saw a lot of hawkers in Peru, but then again I am not white, so it’s easier for me to blend in the crowd. I do agree that Peru has awesome history. Next month, I am heading to Chile for 10 days. Unfortunately, sight-seeing isn’t the major reason: I am giving two talks in a conference held in a university in Santiago, but I also added 3 days to sight-see afterward. I plan to explore the capital and venture into Valparaiso and Vina del Mar during those times. I’ll keep the wines in mind. If you have any other pointers you’d want to share, I’d definitely appreciate it! Better wine in Chile? I guess that is true if you like Cabernet Sauvignon or Merlot, but Argentina produces more and sells more than Chile. Argentina is also the best place for Malbec and Torrontes (white) on the planet, while a handful of countries can match Chile’s top varieties…. Nada que ver! How do you think, is is better to go on my first trip with a group or independently? I was going to go in a tour to see Perito Moreno. Or I could go alone? Thanks! You can go alone for sure. When you get to El Calafate just book transport to/from the glacier at your hotel or hostel. It’s super easy. Please tell me where in Latin/South America can I find the best beaches? In Peru the beaches are verrrrrrry dirrrrrty. People have no idea, pigs and dogs eating out of trash cans, I even saw a local doing his #2 on the beach. Now I am scared to believe any blogs/travel websites because the pictures look great until you get there and it’s HEAPS of plastic everywhere. Any advice? Yup, Peruvian beaches are terrible. Likely Brazil, Uruguay, or Colombia have the best beaches. I think it’s hard to pick a best landscape – Chile would definitely be in the running for me between the Atacama desert and the amazing scenery down south, but at the same time I’ve seen gorgeous spots elsewhere and think the Salar de Uyuni looks incredible in photos (haven’t seen it in person quite yet). Otherwise, I think you did pretty well. I agree that Chile’s fashion is a problem (I blogged about it myself way back when) and that meat in Uruguay is better than in Argentina. And Jeff, you’re forgetting the coastal whites and pinot noirs that Chile produces! @Emily Chile definitely has some amazing landscapes as well… but they pale in comparison to Bolivia, in my opinion. Hmm, you’re right about the coast wines too. I want to know which 5 are the safest, most developed, most renewable energy, best economically, lowest for poverty/child poverty I know Chile has legal pot etc. Tough to say exactly. The obvious answers are: Chile, Brazil, Argentina, Colombia, and Uruguay? But, even a country like Brazil has massive problems with extreme poverty. The divide between rich an poor is extreme in a country like Brazil. The most developed countries are Chile, Brazil, and Argentina. Colombia isn’t far behind, and Uruguay is there too, but like Colombia has an extreme rural vs. urban disparity in wealth. Just for information Salar de Uyuni is in Bolivia :-} Come to see it in person, you will love it. I laughed out loud reading this – especially the part about the pan flutes. I’ll be going to Ecuador at the end of the month and I have to say the volcanoes weren’t high on my list of things to see but now I’ll definitely be squeezing them in! Thanks for the post! I’m from Ecuador and the best place to visit over there is the Glapagos Islands. You should definitely check them out. Miguel, you’re not wrong! I visited the Galapagos after writing this list and it was absolutely amazing. I’d love to go back again! Best way to do it is to go to Quito and book a last minute trip with an agency like Happy Gringo. Back when I was a tour leader in South America, I would check the prices in Quito and it was always about 50-70% cheaper than booking from afar. Those trips also include the flights. That’s definitely the way to go. Lol- “If you’re into mullets and stone washed pink jeans then Chile is the place for you.” Sounds like Buenos Aires when I lived there in 1999-2000 (though in all fairness, the stone washed jeans were black not pink). But the really good ones would definitely deserve all of your attention! Although I have to say that comparing the Brazilian barbecue with Argentinian and Chile would be a tough competition. So, as a local, I would say: forget the barbecue and go for the Brazilian seafood. You won’t regret! @Clarissa I actually love Brazilian food… it’s some of my favourite… it’s just the way the meat is cooked. It’s so tough! haha. I love the seafood though, especially up north! Very insightful and backs up some of the stuff I had already read about some places I plan on visiting next year! @Julia… how long are you going to be in SA? Never been to S. America, but your best/worse was a great read. Thanks John, I’m glad you liked it! This is brilliant Brendan. And so true about Chile haha! wow…way to make me jealous! Now I have to spend 6 months in S America as well! Oh, I had just about forgotten the music in Bolivia – why oh why did you have to remind me! Overall I can agree with most of what you wrote though I have yet to hit some of these countries. For me the best part of Chile was Torres del Paine and the street art of Valparaíso and for Peru I would have to argue a tie between all the great archaeological sites (especially the under-appreciated Kuélap) and the amazing hiking and views of the Cordillera Blanca near Huaraz. For Bolivia, it depends on luck, but the worst aspect can easily end up being the numerous strikes and roadblocks that can strand an unsuspecting traveler in a place with no access to money. Haha – I LOL’ed at your comment on the style of Chile, and had to agree for sure. Although, i think I’d give a nod to them as having the worst food too. Those damn hot dogs loaded up with mayo and avocado? What IS that? And glad you gave the nod to Uruguay on the meat. I was able to cut one steak with a spoon. So insanely good. This is a great list. I think I agree with most of it. I’m on the fence about the wine though. I especially agree with the part about Colombia having the worst reputation. I strongly believe this country is making a huge comeback and tourism is going to really pick up in this country. @Matt – cheers. You’re right about Colombia, it’s definitely on the move. Thanks for listing the best and worst on each country in South America. I only visited Cartagena, Colombia for one day when I went on a cruise two years ago. I want to go back and visit other parts some more. I loved reading this, and the photos are fantastic. What an experience it must have been to travel all over such a huge and beautiful continent. Brazilian beef isn’t my favorite (although I love good churrascarias), and I agree, they do know how to party, even in other occasions, like a Saturday lunch or kid’s birthday party! Can you say which country was your favorite, or which you could imagine yourself living? Oh Jenna… your question to me sounds like a whole new post. I have a hard time imagining myself living anywhere. On a non-permanent basis I could see myself living in Colombia (where I am), Rio de Janeiro, Floripa in the summer, and possibly Buenos Aires in the summer. Really agreed with both your Chile picks as well as Colombia assessment. Meat in Uruguay was amazing!! I can imagine that question I posed is a tough one. Maybe you’ll have to write about it someday? I haven’t been to Floripa or Buenos Aires, and I agree, you’d have to live there in the summer. Winter in S. America is too cold for me. A great post. I’m happy to say I still have some SA exploring to do even after going back for 4 years. I agree, I’ve lived in Cusco and sometimes walking the Plaza de Armas gets annoying with the calls for massages. Best way to combat that was to always have my ipod on me. Glad someone else agrees that BA meat is slightly overrated. And we LOVE Colombia as well!! Great post, Brendan, really enjoyed it! You’ve made me really want to revisit South America now! I have to completely agree with you on Argentina, Bolivia and Peru – but personally think the Galapagos are the best thing about Ecuador. You’ve made me really want to take off on the road again now! Great post, photos and info. South America is still somewhere we have yet to step foot on and it’s really useful to have an overview like this! Really looking forward to getting stuck into it at some point in the near future! I’m really glad you liked Chile, but there’s a lot more to see than our world class vineyards. We have the most arid desert in the world, the valleys, the Andes, rain forest, glaciers, Patagonia, volcanoes, lakes, etc. Hope you get to see all what Chile has to offer next time! I am a Chilean and I wonder where you visited in Chile. I am from the north and I’ve barely seen those jeans. Also, I am not a wine drinker, but thanks for telling our wine is good. Finally, please forgive me if I am wrong, but I got the impression that you made a comment based on stereotypes. You mentioned that partying in Uruguay was lame, and that because it was a Latin American country, people should be sweaty and making bad decisions. I would claim this is a wrong idea, as well as people drinking coffee all the time or eating spicy food. Cheers and thank you for this great review of South America. Hi Michel, this post is about 4 years old. I was all over Chile, from North to south. But, you’re right, there was far more of them in the center of the country like Santiago. In the north, I hardly saw them at all. No, I didn’t mean that Uruguay was lame because of the style of party. I just found that even the bars and restaurants were fairly boring and kind of felt depressing. And, you’re a bit wrong about my idea of the stereotypes. I lived in South America for over 2 years and have spent time in all countries. I know how it is. That said, I do think it’s funny how every westerner thinks that South American food is spicy because Mexican food is, haha. Anyways, thanks for you comment. I hope you enjoyed the article! I am uruguayan and I have to agree 100% with you. Our meats may not be the best in the world but to my taste, they are much better than Argentina´s in taste and texture. Nevertheless argentina has excellent export meat cuts that can perfectly compete with high honors all over the world. And it is not the first time that I hear from travellers that uruguayan barbacue is also much better than in argentina. On the other hand, nightlife, you are 100% right again. The high cost of life here doesnt encourage massive consumption a lot. So whereas in many countries you can find 3 restaurants per block , here you have one or two every round mile or so. When we have had better economic moments people instantly go out and spend money everywhere. So if the good economy could be a constant, the night life would be much more active. what was said… slightly better… instead of much better… little difference for a big difference… besides is a matter of taste, cows can’t be that different acros both sides of the same river don’t u think? Let me get this straight. You’re saying Argentina has the best natural wonders because of some waterfall and a few big ice cubes? Really? Where else in Argentina did you go exactly that you were able to be deceived in such a way? Also, I want to know where the HELL you went to in Peru that you didn’t realize you were in one of the world’s MEGADIVERSE countries with one of the highest amount of natural habitats (not to mention species). Let me read between your lines. Did all the Peruvian tourism companies trying to pull a fast one on you get on your nerves? Do you view Peru as one dishonest and big sell-out? And because Argentina offered a different type of tourism, you enjoyed yourself there more, and because of it, you feel it compensates for everything, despite Argentina only having a small amount of “natural wonders”? I don’t even think Argentines would boast about their natural landscapes, because there are A LOT of unending, flat, empty plains (their literature is filled with stories about them, too). And certainly compared to other South American countries, it seems like it has little to offer in terms of natural beauty. South Americans consider Argentina to be the mecca of artistic culture…ART. As in…ARTificial. Not natural. Iguazu Falls is nice. But what do you think of Niagara Falls? I find it hard to believe that you would find the need to highlight Iguazu Falls when this is a shared natural wonder, that really only differs slightly from Niagara Falls, since you can’t do much ON a waterfall,except see it…and go to the gift shops there…. Moreno is another matter altogether. Patagonia is probably THE best thing in Argentina……and its only natural beauty, unfortunately. Sorry, I don’t mean to come off so strong. It just feels like we have experienced completely different countries. Or your assessment comes not from an objective point of view, but from how people made you feel while you were there; which is fair enough, but I think you might be unintentionally deceiving people here. I think next time you go to Peru, maybe do more research as far as the HUNDREDS of places you can visit, instead of sticking to tourist books and what companies tell you. You do realize Peru is a hikers’ dreamland, right? Here is just a very short list: THE AMAZON RAINFOREST (for starters! Fancy that! ), Huascaran Mountain, Manú National Park (the largest national park in Peru, a World Heritage Site, UNESCO-recognized Biosphere Reserve; it only has more than 20,000 types of flora, and about 4000 animal and insect species…), The Colca and Cotahuasi Canyons, El Cerro Blanco, El Misti Volcano, Nazca Desert (Nazca Lines), Paititi, Puerto Chicama or, for a hipper/cooler (albeit “touristy”) beach area, Asia in the province of Lima. I’ll be honest with you, you got me worked up about this. I don’t mean to offend you. I’m sure you are reporting on your own honest observations and I appreciate you sharing them. Still, I hope you make some time to explore Peru’s natural habitat some more, as well as enjoying all the beauty South America has to offer, of course. I spent 3 years in South America. I spent the vast majority of my time in Peru since I lived there. However, I think that you mistook the article… It was the country with the BEST natural wonder, not the most good ones. I thought that Iguazu was a most impressive waterfall I’ve ever seen by far, about 100 times more impressive than Niagara. I also thought that Moreno Glacier could be a natural wonder of the world… there is nothing else like it. There is no single natural wonder in Peru that is more impressive than either of those two things. Sure the Amazon is amazing, I’ve been to the Amazon in Peru, Bolivia, Brazil and the Guinanas. It’s amazing, but it’s not in one country. The Colca canyon is impressive and one of my favourite places on earth, but do you think it’s more impressive than Moreno and Iguaza? I don’t. 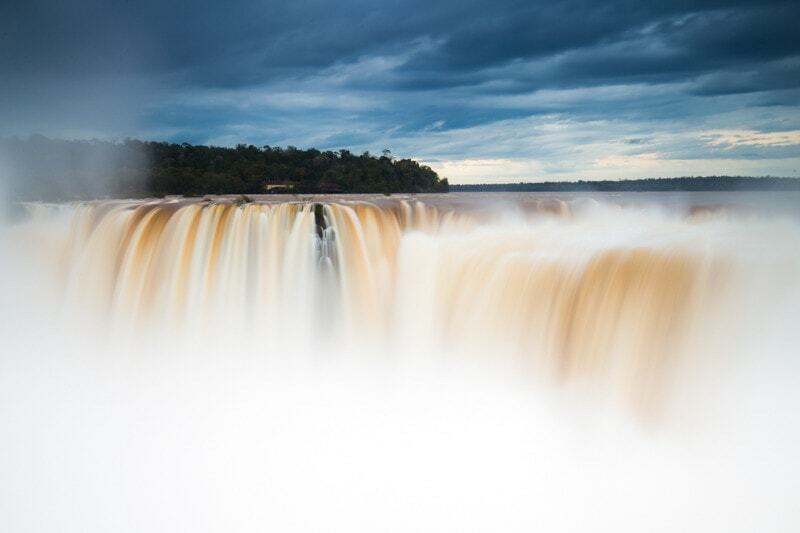 So yeah, sure Peru has a lot of amazing things (and I remind you, I’ve been to Peru 10 different times), and there are certainly MORE natural wonders, but there just isn’t one that’s on the same level as Iguazu or Moreno… In my opinion of course. Actually, my second most impressive wouldn’t even be Peru it would likely be either Chile or Guyana. I’m uruguayan and let me tell you our nightlife may not be awsome but it isn’t lame. I’ve been to great partys over the years in Montevideo so yes you are wrong. Also our meat is considered one of the best world wide so no wrong in that. But is true you are begin stereotypical. Just because you are in SA doesn’t mean that you need to “get sweaty and make bad decisions”? Hola Chica. Bueno, para empezar. Primero de todo no sé porque explicas tantas cosas sobre Argentina. YO SOY ARGENTINA y estoy orgullosa de mi país sea con maravillas naturales o no. Estoy precisamente segura que algo tienen con Argentina ya que suelen siempre decirnos cosas. ¿Porqué? ¿Y a vos que te interesa que país del Sur América es mejor? Y solo entré acá ya que me llamó la atención y MUCHÍSIMO más tu comentario sobre nuestro país. Cada uno que piense como sea, siempre y cuando respetando a los démas. PD: Al que hizo este post: Te amo. Gracias por su comentario. Los latinos tienen mas orgullo en sus propios paises que cualquier otra gente que encuentro en el mundo! Cada uno piense… no, cada uno SABE que su pais tiene el mejor de todo. Me encanta todos los rincones de America Latino, y no puede esperar hasta cuando vuelvo. I couldn’t take your opinion seriously because your are so rude. There are lot’s of ways to have a debate, and you have selected to use the least classy of them. I would be happy to take your side into consideration, if you spoke like an adult. argentina is one of the largest countries in the world and yet it has a fairly small population, so there are obviously going to be lots of empty, uninteresting spaces. and not only does the literature you’re talking about revolt around the pampas, which comprise just one of the eight/nine regions of argentina, but also describes a lifestyle that ended long ago, so you ought to to catch up with history. you claim the patagonia is the sole noteworthy part of my country landscape-wise: are you aware that most of those vast empty lands you despise are located right there in the south? hell, patagonia even has one of the largest deserts in the world, do you really think that’s worth visiting? you didn’t mention cuyo, in which some of the best wines are produced and the largest mountain outside of asia lies, the quaint northwest with its quebradas and colorful valleys, the sierras of cordoba, the northeast, whose waterfalls make niagara look ridiculous, and so on; you could even add buenos aires to the list if you’re not solely into landscapes. you probably didn’t even do much in patagonia besides visiting the “block of ice” –and if that’s how you choose to see things, then your beloved peruvian mountains are nothing but a bunch of rocks with llamas and amerindians with flutes sprinkled on top of them. I’m almost sure you’d probably change your mind about Chile, when you check out these random places. Feel free to google them, and hope you find a time to visit in the future. – Parque (Park) Mahuida, Cerro (hill) Manquehue, Cerro San Cristóbal (Metropolitan park), to do trekking (guided/on your own), freestyle biking, camping, or having some good bbq w/beer around the trees, with a great view of Santiago in background. Not to forget the seafood, salmon and wines. It was funny that, during a visit to Copenhagen, most restaurants were offering expensive Chilean wines for up to DKK 250…just he same ones you’d pick up on local supermarkets for $15! Welcome to Chile at any time, my friend, and don’t bother wasting your time with Peruvian trolls, jealous of Chile and the rest of SA, as always. It was really interesting to read over your blog of all the different places in South America you’ve visited. I myself, and a few friends, are planning on travelling there soon in the next few months. The points you’ve made above are really insightful and will be useful when it comes to decision making of which countries to visit. My main question would really be, we’d be a group of young Irish girls aged between 21-24 and are slightly hesitant as to which countries would be the best and well safest for us to travel to and from? Any tips or advice would be greatly appreciated from someone like yourself, who would be well traveled with the various countries. Rumors of the dangers of South America are greatly exaggerated. Aside from Venezuela, you should really be fine wherever you are especially as a group. If anything will happen it will be something petty like stealing your camera. Be on your guard in public, don’t leave your things laying around, and don’t fall victim to the classic “I spilled my coffee on you, I’m sorry, hand me your bag and clean yourself off” trick. Honestly, there are so many tourists in South America you’ll be able to chat with them all and gain some advice. I was robbed of camera gear in Ecuador, but it was really my own stupidity. If you’re cautious, you’ll be find. Enjoy, it’s one of my favourite regions on the planet. I have been to Buenos Aires, and am headed back to S. America in Jan/Feb- going w my gf down there. What would be your top 3 picks? Uhmmm… maybe you missed the point of the article. Or didn’t really read it. This wasn’t what is the best country in South America nor was it what is the best country to visit in South America, I just looked at what each country did better than the others. Yes, Peru is a cool country, I lived there for quite some time. But the fact I didn’t write that it was the best country in south america doesn’t have anything to do with hate. Such a random comment. Hey guys, I’m a kid and I was born in South America. Almost EVERYONE knows me and my brother. I was from Chile. It’s true-the wine there is good. 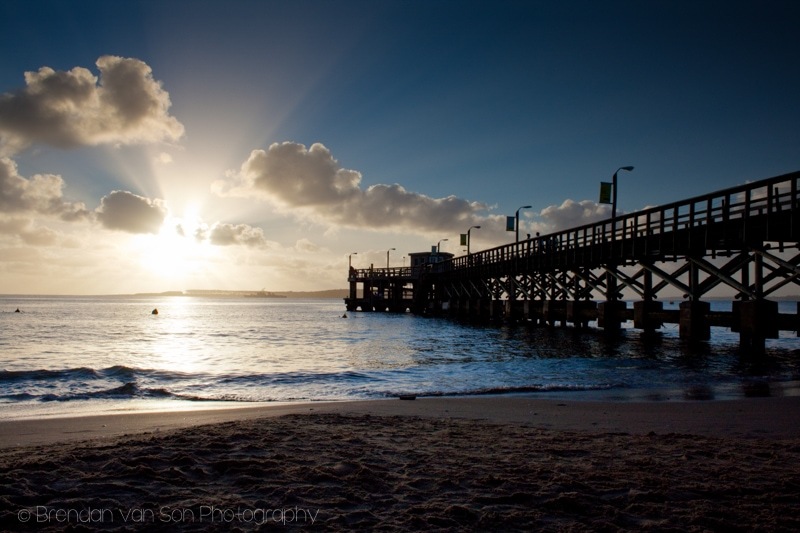 Plus, we live close to the beach.Just walk ahead and your there! Thanks for the article! It was a great read! I was wondering if you could give me advice on where I should go. 2. 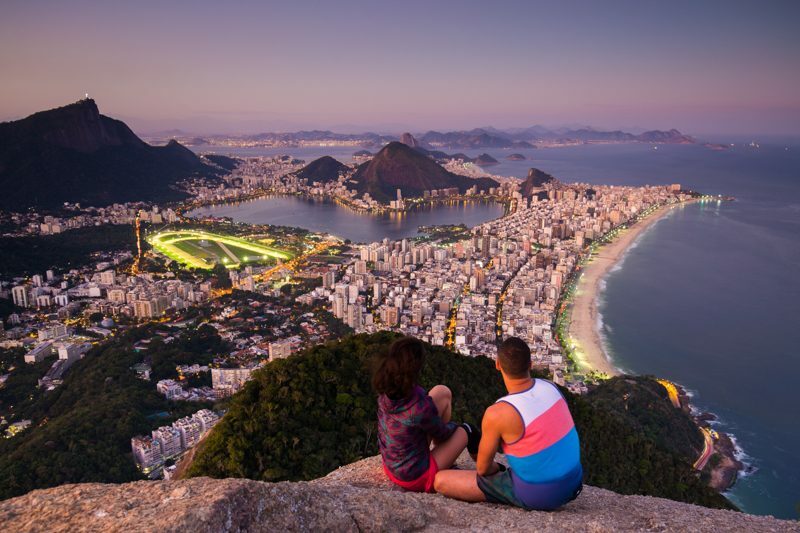 Brazil, more specifically, Rio just looks amazing! My only gripe would be is they speak Portuguese and I have been wanting to practice my Spanish for quite some time, although I do plan on learning Portuguese sometime in my life. 4. As stated earlier I have been practicing Spanish for years, but have never mastered the language. Any advice you can give me will truly help to this aspiring traveler! Happy trails on your future travels!! Wes, Cartagena isn’t as toursity as you think. Be sure to spend some time in Tayrona National park, that place is amazing! Advice? Don’t be shy, get to know the people both locals and tourists and you’ll never be alone when you travel. Lots of backpackers in South America, so you’ll have no problem meeting people. Congrats on taking to solo travel plunge! Enjoy! Cartagena – depends how you look at it. Compared to other parts of Colombia it is very touristy, to other parts of the Caribbean maybe not so much. It is completely different world with many cruise ships stopping there and unloading hundreds of people. If someone been only to Cartagena in Colombia, he was not really in Colombia at all. 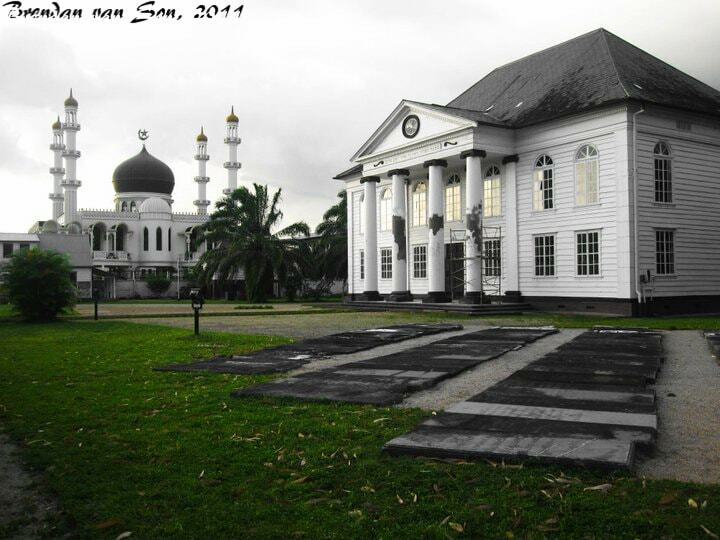 The place is so different from other parts in many aspects. Don’t take me wrong, still a great place to visit and enjoy. Hi Brendan. I backpacked around the world for two and a half years and still Argentina has not been beaten for all round place to visit. I’m planning another trip to colombia Venezuela‎ Costa Rica, Panama etc. Could you advise me on what budget i would need a day. My last trip about 6 years ago and i travelled on about $40 a day. Hey Rob, Sounds awesome! You could probably do that for the same budget. I travelled on $45 a day last year pretty easily. Be sure to hide a tonne of USD somewhere before entering Venezuela. You get about 9Ven to 1USD from money changers, but only get 4.2Ven to 1US at the back machines or western union. It’s kind of illegal to pack in a bunch of USD but it will save you a fortune. Venezuela is expensive if you’re drawing from your home bank at 4.2. It’s cheap if you get 9 to 1. Costa Rica is getting more expensive, but $45 is still doable. Colombia at $40 is fine. Panama, depending where you are is also fine at $40. If you get to Guatemala, Nicaragua, etc. They’re much cheaper even. You could probably do $30-35. All in all I enjoyed the article. One thing stuck out though. Your claim that “Hugo and his crew” are presiding over one of the biggest disparities between rich and poor in the world…WHAT? Where did you get that from? Venezuela has one of the lowest gini coefficients in South America and the gap has decreased massively since Chavez came to power. If you don’t believe me read this article in Bloomberg, which is hardly a website to promote Socialist regimes just in case you want to fall back on biased reports on this one…. I don’t think you are getting me on this….the article claims something that is completely wrong! Either find a link to a legitimate study which backs up your claim or take your incorrect statement out of the article. You article appears high on Google’s search so people will continue to view it. Therefore, it is your responsibility to ensure the information you have given is correct. This one is not. Take it out. Article has been edited accordingly. I’m glad you enjoyed Brazil, mainly our parties hehe. Yes, definitely it’s something we are good at. We have the carnival and the the new year’s eve in copacabana, the two biggest parties in the world, and still a lot more to offer. But I have to disagree with you about the quality of the meat,. You were probably unlucky mate, because our meat is very good sir! I have been to argentina and uruguay, yes the quality of the meat is very good, and maybe their meat is more soft, but there isn’t a better way of preparing and serving a meat than ours. There’s nothing like our churrasco, the perfect cuts of beef accompanied by various delicious side dishs and you eat as much as you can hold. It’s a unique experience! Did you eat the our churrasco in Rio Grande do Sul? I’m sure you didn’t! It’s original from that state and it’s delicious! PS: Dont forget that the Iguaçu Falls are partly Brazil. Although it’s a third, it’s ours too! And the best view for the totality of the falls you see from here hehehe. A friend and I are keen to travel to South America for 2.5 weeks at the end of February/beguinning of Mrach next year. I think it’s a toss between Argentina, Bolivia and Peru. We would like a bit of a travelling/adventure holidays. Recent past experiences have involved volunteering in Ghana and backpacking through Vietnam and we would like to keep up the momentum. We would like somwehere that has beautiful sceneries and want to have great experiences and make even greater memories. Not looking for luxury travel but would like something that is fairly adjustable for westerners. Where woudl you recommend for two young ladies out of the three countries above? I’d say if you only have 2.5 weeks to visit Peru and Bolivia. Argentina is amazing too of course though. But in 2.5 weeks you could do Lima, Cusco, Machu Picchu, Lake Titicaca, La Paz, and the Uyni Salt flats. There isn’t much more variety anywhere else in South America that can equal those places! I am heading to SA for 2.5 weeks. Could you please reccomend the best itineary. I am going on a study trip to explore different models of Indigenous tourism but at the same time want to have an amazing experience (party a bit, enjoy good food). How would travel in April be? If there are some other itinearies you could reecomend it would be most appreciated. You’re pushing it to do all those places in 2.5 weeks, but it’s possible. If you’re going to do it that way, you’d have to fly to Lima and train to Machu Picchu rather than bus and hike. However, if you don’t mind grinding out the long bus from Lima to Cusco it’s possible without flying too. April is ok, but can still be quite rainy. Generally though, I think may and june are the best months for Peru as the rains have ended but everything is still nice and green. You should be find in April though. I’ve been there nearly every month of the year, and you can always get by (although February is tricky at times). I disagree that there’s not much too see in Paraguay I’m from Venezuela and visited with my hubby several times you need to visit with someone from the country or be well informed before you say something about a country. I’m taking my first trip to South America and will be traveling for 4 weeks. I would love to focus on Ecuador, Peru, Bolivia and either Columbia or Argentina (can’t decide which would be better). Is this too ambitious? What do you suggest are the best places to travel within those countries? Probably too ambitious, you would be racing around too much and miss much of the experience. I’d advise you to focus just on Ecuador, Peru and Bolivia. Or either Colombia and Argentina, and one of the other countries. Most people take about 3 weeks just to do Peru and Bolivia. Thanks for the response. We actually are now considering at homestay in cusco, peru and traveling through the country from that home base. We are also going to visit Bolivia. Is it possible to visit parts of Bolivia from cusco on a couple different 5 day trips and return back to our homestay? Or would it be better to save Bolivia til then end and fly out of la paz to return home? This may not be your expertise, but where would be the best country to live in for an American now? Let me clarify, which South American country out of Chile, Argentina or Uruguay? Savannah, all are similar to be honest, in terms of living conditions. Each has their advantages. Chile is the most stable financially, Argentina has the biggest expat community, and in Uruguay you’ll be less surrounded by foreigners. But yeah, you can’t go wrong with any. I know you said only those countries, but if you listen to the stats and advice of others, the best 3 countries in Latin America for America expats are Panama, Ecuador, and Colombia. Cities like Boquete, Cuenca, and Medellin are really popular among expats because they have great health care systems, and a financial system that is welcoming of foreigners. Found your “best and worst of South American” informative. Makes me want to see more of South America. I think it must have been hard to select the best and worst….for me the main difference would be on food. Peruvian food is the best I have eaten anywhere–Europe, Asia, North and South American. Variety and blend of cultures makes the food outstanding. But then the history of Peru is also outstanding. Very interesting post! I’m looking to get my feet wet in South America this year with a visit to Argentina or Uruguay. After so many years travelling around South East Asia, I’m looking for something a little different! Well, I’m writting from Santiago de Chile, a low profile town surrended of mountains. I think your opinion is interesting and importante. But at the same time – is your fukn’ opinion finally, I say this with respect to your self as photographer you are. In other words, your way to see LatinAmerica is not the truesfullness, in fact what you wrote about “the worst” of my skiny country results “extreadely funny”. It’s true, in fact. BUT is a very non-important commentary after all (XD). I would like to have written something more mmm … what’s the word … “professional opinion” than a fully commentary, certanily. Sorry my English al peo. Un abrazo. I have been only to Colombia and Ecuador from listed countries so far, but I have to agree and disagree. Including Central American countries I visited 7 latino countries so far. Colombia and Panama would be topping the list, Ecuador at the bottom. Colombia – a lot to see, very nice people and very safe. I have been there twice, have some friends there and what you are saying and is portrayed on TV is just not true and propaganda. The only places I would worry about when it comes to safety would be to some degree Southern Colombia and Northeast. Pretty much areas bordering Ecuador and Venezuela with higher paramilitary activity. The fact is that when it comes to security, there were a lot of changes in the last 10-20 years to improve safety a lot. Colombia is the country I want to return again and again because I always had a great time there and felt safe there. Ecuador – totally agree. The worst and the most lame bus transportation system I have ever encountered. I would never ever travel Ecuador on the bus again. I wasted soooo much time on buses that it was insane! Next time I would definitely rent a car or move between major centers by plane. But compared to other latino countries I wasn’t so impressed by the country. Seen better, done better in other countries. Moreover, some puta de hijo stole my camera with 1,300 pics on it just 2 hours before I got to the airport on my way back home. And no, it wasn’t my stupidity! That’s just fact that Ecuador happened to have higher concentration of crooks and people trying to take advantage of you because you are Gringo. Maybe I just wasn’t lucky. Unfortunately, can’t speak for Galapagos, that would be probably the only place I would wanted visit in Ecuador next time. Just a note, if your going to Peru. If you plan on seeing Machu Picchu, and Lake Titicaca, be prepared to pay a bundle. Getting to Cusco, and the south will cost a small family a small bundle. 1000 US Dollars, plus. I agree with everything, EXCEPT that Uruguay has better meat than Argentina. When it comes to meat (beef) Argentina always takes the prize. Wonderful article by the way! Any advice for me…I’m planning a small trip with my girlfriend who’s never been to South America before. I spent 2 months over there; Peru, Bolivia, Argentina & Brazil mainly so I wanted to visit somewhere new. I was thinking of possibly Venezuela or Colombia, but the idea of visiting the Galapagos Islands & seeing Equator is also tempting. We’re looking for adventure, scenery, great food & relaxation. Our holiday will be 3 weeks long, what do you think?! I vote for a combo of Colombia and Ecuador. Venezuela isn’t the safest or easiest to travel right now. If you flew into Cartagena, you could do: Cartagena, Santa Marta, Tayrona, Medellin, Salento, Popayan, Ipiales (Las Lajas), and then cross into Ecuador to do Otavalo, Quito, Banos, and then the Galapagos. That’s pretty much the perfect trip. 3 weeks is quick though, but it’s possible. Colombia – I spent a month living in a town near Manizales and I have fallen in love with the country, but this time I would be living in Barranquilla. I’ve heard excellent things about the coast and I do have friends in the country that I was planning to visit either way. My main hesitation is that I’ve already lived in Colombia so I should take advantage of the chance to live in another country. But I am planning to conduct health research while abroad and I am drawn by how friendly and welcoming the people are which would help immensely. Argentina – I love the idea of visiting Patagonia and the abundance of museums and cultural events in Buenos Aires. On the down side, I have heard mixed reviews of how safe the city is for tourists and that being robbed is expected. (I stand out pretty clearly as a tourist as a blonde) The cost of living is also much more expensive in Argentina, which is a drawback for my budget on visiting other cities, sights, and countries. Also any information about how easy it would be to travel would be very helpful. My focus is rural medicine so I would be leaving Buenos Aires a decent amount. 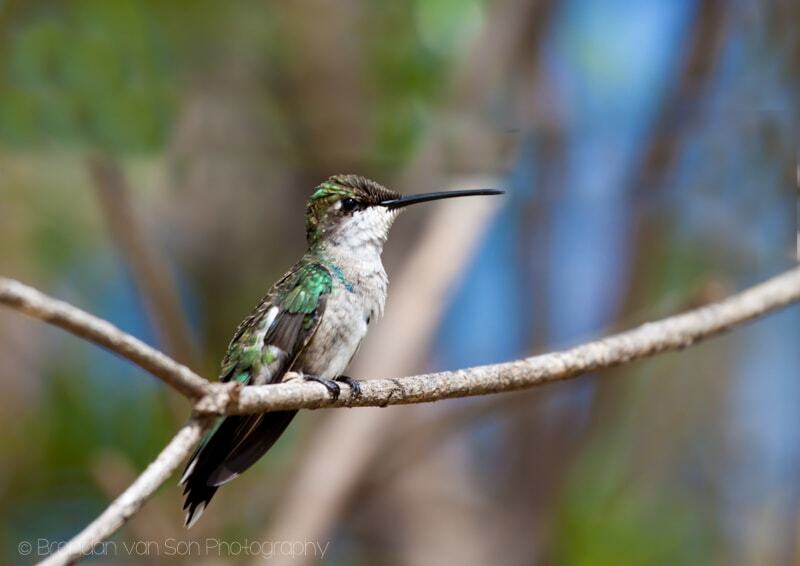 Costa Rica – I would be living in San Ramon, which would provide easier access to rural clinics but I am worried about running out of things to do. San Jose is a little far away to make frequent trips for nightlife or cultural events. Do you have any advice about the town? I’ve heard excellent things about Costa Rica as a location for shorter stays, but I am not sure if I will run out of attractions in the first month, other than hiking through jungles, etc. I’m planning to backpack through Brazil, Uruguay, and Chile regardless of what country I live in. I will also be visiting Cuba and Argentina or Colombia (to visit my friends) if I do not end up in one of those. Any advice at all that you have would be much appreciated!! They are all great opportunities but I want to maximize my experience as much as possible. Which do you think are best for traveling with children? And by best, I guess I mean safe, clean and decent food? Likely Argentina, Chile, or Peru. I am about to move to Bolivia in two days and I am also looking forward to the landscape, the nature, and the people. But like you, I hate pan flutes. I already hated them when the groups from Peru or Bolivia played in pedestrian zones in Germany in the 1980s. Move to Santa Cruz or Tarija if you don’t like pan flutes. Most people don’t mention these places when they mention Bolivia, but Santa Cruz de la Sierra is the largest and most developed city in Bolivia and is in the tropical flat lands so it has a different culture. Tarija’s culture is more closely related to that of northern Argentina than to western Bolivia with landscapes and weather reminiscent of southern Spain including the vineyards. My best friend and I are planning a trip to South America in Feb and we’ll be spending about 3 months, one of which will be spent entirely in Colombia. So aside from Colombia, which countries/cities would you say are absolute musts? We had narrowed it down to Peru, Chile and Argentina but we’re unsure. Bear in mind that while we grew up in the States, we’re of Latin American decent therefore we speak Spanish as well, we just haven’t really explored Latin America before. With 2 more months, I’d leave Colombia overland and head to Ecuador for 10 days, then Peru 20 days, Bolivia 10 days, and then into Chile and/or Argentina for the rest. Quick question, how did you get a visa to all those countries? Was it one by one or did you just cross the borders? I got my Brazil visa in South America. I’ve got it in Buenos Aires, and I’ve also got it in Santa Cruz, Bolivia. It usually takes 3 business days. considering fun, safety, people vibe, easy transportation and nature (not too touristy), which country do you recommend? mountain and beach, both easily reachable, am i asking too much perfection? Sounds like Colombia or Ecuador to me! People, it isn’t a challenge. The most important thing it’s Brendan travelled all around SA and had his own impressions and vibes and shared it with all of us. Thanks Brendan from Buenos Aires! Great article! Thank you Brendon! Would you like to visit Montenegro? You can stay in my flat near the beach for 4 days. I will not be there as I live in Uk but you can be my guest. Montenegro is Wild beauty, you will be impressed.